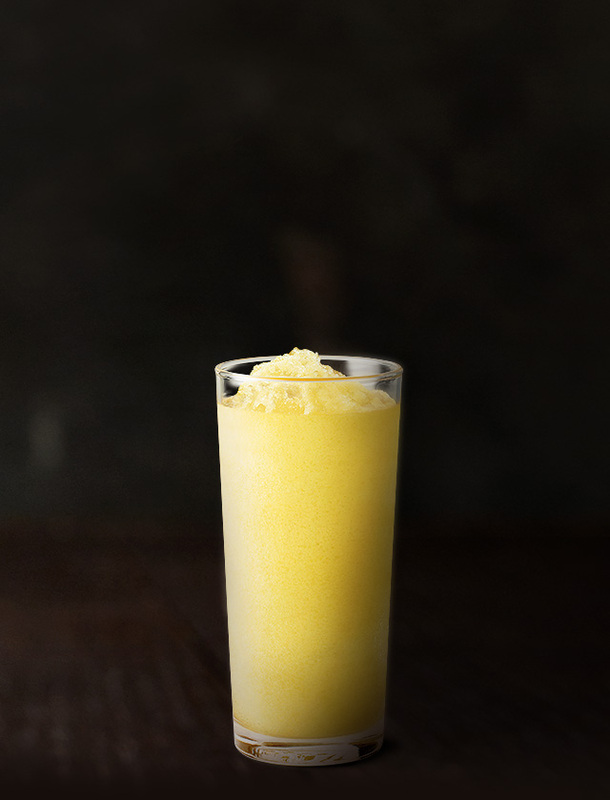 A deliciously refreshing blended ice drink with 10% lemon juice. Available at participating restaurants. Serving suggestion. TRADITIONAL ICED LEMONADE: Water, Lemon Juice from Concentrate (11.9%), Sugar, Orange Pulp, Flavour, Preservative (202, 211), Antioxidant (300).